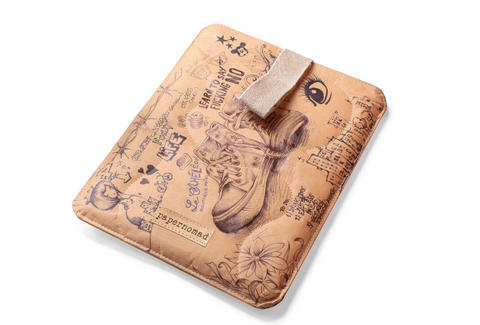 Papernomad is a line of green-friendly tech cases made of completely organic materials. Developed in Europe by environmentally-conscious developers, the line offers the ultimate in customizable gadget protection--each sleeve is literally a blank canvas that you can fill with whatever strikes your eco-friendly fancy. A felted wool liner and organic cotton batting will ensure your gear remains scratch-free, while a hemp pull-tab keeps everything in place. 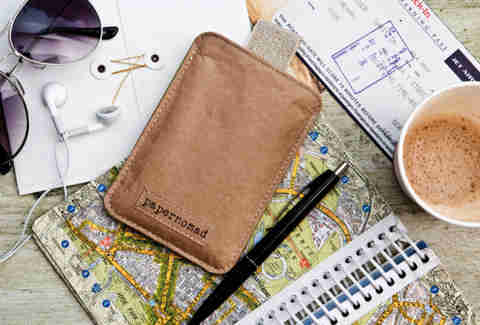 Papernomad protects against the elements with a paper composite that is water-resistant, tear-resistant, and, yes, compostable. 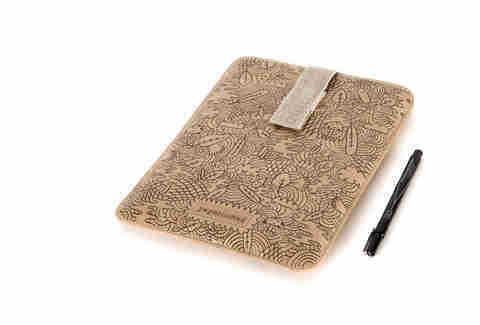 You now have the option to let your tech sleeve fertilize your vegetable garden--that is, unless you want to save your artwork after your new laptop is obsolete in three months.